Our brand new website is now ready, come check it out! You'll reach Me and You's website, click the AshbaCrew link at top of page.See you there! Our new website new website brings all three artists in the same stable together for the first time ie Me and You, MegaMovement and of course AshbaCrew. Hear music from all three as soon as you visit. It's much easier to listen to and buy music, there's much more content on many more pages including a full FAQ, dating and adult contacts and more! If you prefer to keep using and buying from this the original website, please feel free as it will remain! However when new content such as new music, new pages and new information becomes available, only the new website will be updated. Please bookmark the new website for future reference. 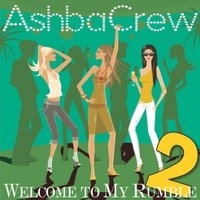 Hi, thanks for visiting AshbaCrew.com! AshbaCrew is a new cutting edge band that successfully fuses loads of different styles of black, urban and dance music to create something that is totally new and unique that we hope you'll like. Listen to all four albums - it only takes 30 seconds per track and 5 minutes per album as all albums only have 10 tracks. If you do find any stuff you like, support them by buying it and telling others! Only 99c/79p per track! (US/UK - other currencies also supported). If you're looking for the music of Me and You or MegaMovement just click their name. 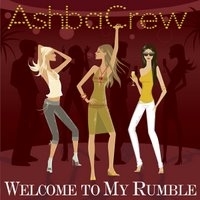 What is Welcome To My Rumble by AshbaCrew? A mouth-watering catchy mixture of garage, house, soulful house, r&b, soul, hip-hop, dancehall, breakbeat, reggae, roots and dub. An exciting and attractive mix, it’s difficult to describe, you have to hear it to truly appreciate and understand it. It's happy summery uplifting stuff. If you're ever feeling down try this as a pick me up! This 20 track double-album is great for pumping in your car at home or out and about on your ipod. You can do your daily exercise or jogging to it letting the melodies take you on a picturesque tropical adventure or simply enjoy yourself dancing to its infectious heavy bassline beat! Rumble as they call it is largely instrumental but with a couple of vocals thrown in for good measure effortlessly and soulfully sung by the brilliant Monelle. Oh and I almost forgot there's also a fantastic singalong new version to Down By The Riverside on Rumble 1. Click the iTunes links below to listen or buy them now! Pump this wicked summery blend of breakbeat garage and dub in your car or headphones or at home! It's uplifting inspirational and makes you move wherever you hear it! And if you like this you'll absolutely love the second album in the series Welcome To My Rumble 2. More great head nodding tracks from the band. Both albums sound great pumped in a car but if you're listening on speakers at home, be careful the neighbors might think there's an earthquake as this has the potential to shake the building! The basslines on both albums are incredible! Click the iTunes links to check them out for yourself! If you like what you hear email telling us which are your favorite tracks (email address at Contact Us at bottom of page). If you don't but you know someone who will like them email them. If reggae, dancehall, r&b, dub or pop is more your bag, checkout the website of excellent group Me and You! Me and You have 16 albums OUT NOW! 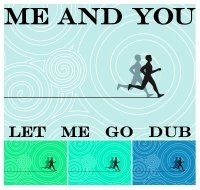 Let Me Go Dub is one of their newly released albums - its strictly dub! Click the link to listen to it. Their music touches several genres including R&B, soul, dancehall, reggae, dub and pop. If you're not into, check out Me and You's website as they have 12 other albums which are completely different to this and to each other! NEW! - MegaMovement music OUT NOW! The two long awaited two albums - Let's Dance and JM Magic are out now. Popular tunes on dancehall style and other riddims. Have a quick listen! Looking for love, friendship or adult contacts! If you're looking for love, check out Frennz for dating and AdultFrennz for adult contacts. With over 1.5 million profiles between them you're likely to find that special person! Two similar additional sites for people of color now available - BlackFrennz and AdultBlackFrennz! Buy t-shirts, gifts, bags, caps and much more! There are 400 branded products in four stores waiting to be browsed by you! They include a wide range of t-shirts, baseball caps, bags, clocks, calendars, mousemats, posters, magnets, stickers and so much more. hoose your favorite logo to have on the merchandise. Check them out now! Promote your webpage/site or products and advertise! Try InspireRingtones.com - an iTunes for ringtones where for the first time you can manage and track all your content online. Of course you can also buy ringtones, screensavers, wallpapers, videos and games, choosing from thousands and thousands of products. The content management section is currently being renovated but you can still purchase products. For further information, read the welcome instructions on the home page. See if you agree with this list of My Top Websites from one of our partners! Email us at meyoumegashmusic@gmail.com to tell us which albums or tracks are your favorites or if you want to be put on our mailing list to be informed of future developments!